My flat is at a great location and easy to get anywhere, public transport just a step from the flat. Rent includes bills, Internet and Netflix. 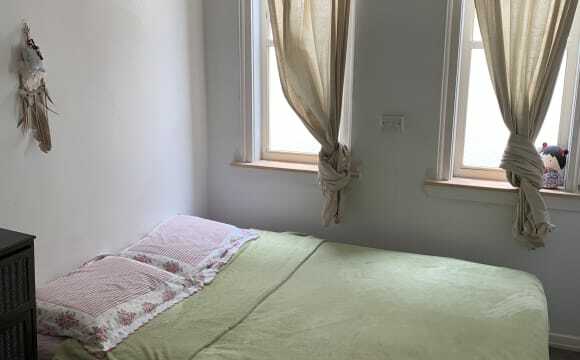 Nice room for rent in a great top floor apartment on Penkivil st.,near shops,transport and beach. It's a single room,furnished,bright and ocean views! 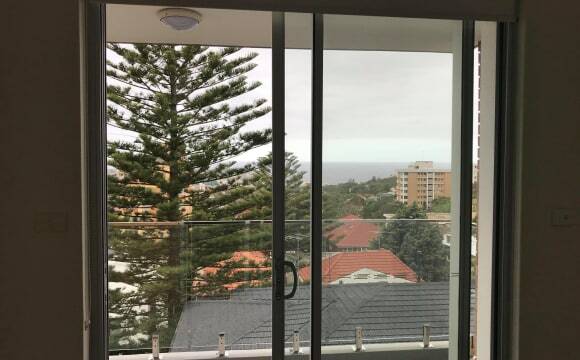 The apartment has a great setup with new appliances,big tv,Foxtel,Internet,laundry and balcony with ocean view! It's always kept clean and organised,so is the bathroom that you will share with only one person. Looking for someone who is chilled,tidy and respectful. NO Couples! $360p/w,including fox and Internet. $360 bond Electricity bill shared by 3 every 3 mths. It is a nice two level house in Bondi. The house locate in a very quiet neighbourhood, but still close to all the shops and facilities on Bondi Rd. There are also plenty bus stops just around the corner of house, which go directly to CBD centre, eg 380,381,389,387 333 etc. It only take 15 minutes walk to Bondi Beach or Bondi Junction Westfield mall. The house is fully furnished, including a fully equipped kitchen, washing machine, TV set ect.. Also, there is a beautiful yard where you can rest yourself and enjoy the sun. We are looking for a nice clean person to share the house with the other young people, age at their late 20's. The job for cleaning the house will be shared between the housemates. All the bills are included. The room is on the ground floor and facing to yard. It is fully furniture , include a single bed, bedside table, study desk, and a wardrobe. There is plenty sunlight coming into the room. It will be nice warm during winter season. 160 degree view of Bondi including about 120 degrees of ocean. Super spacious. Three balconies! NBN internet. Endless ocean breeze with tons of natural light. A very nice place to wakeup and come home to. 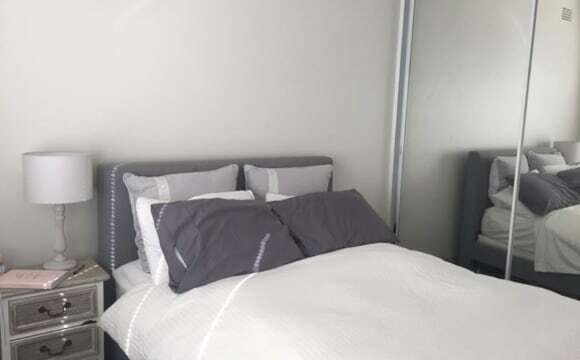 One large bedroom in a 2-bedroom, 2-floor apartment is available for rent for 9 weeks (26 May - 31 July). We have a really amazing setup, with the entire downstairs being your bedroom! It's like having your own studio apartment :) There's a raised platform where the bed/sleeping area is, and a blind you can lower to block the sun in the morning. One whole wall of the room is lined with closet space (I will clean out part of it for you to use for storing your belongings). There is also a small desk and chair. The back door leads from your bedroom to the private deck and yard. Upstairs there's the shared kitchen, living room, and bathroom. We have unlimited NBN wifi, a washing machine, and plenty of cupboard space for food storage. Oh, and you can glimpse the ocean from our east-facing living room windows! 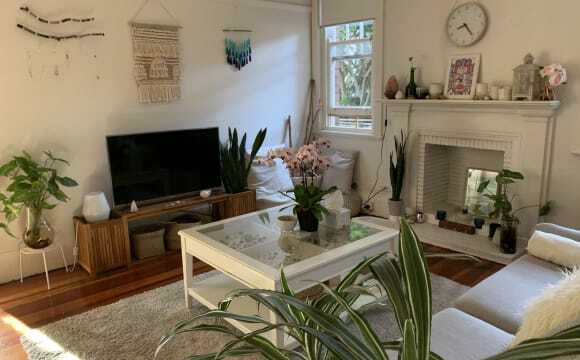 Location: In the middle of Bondi, a 15 minute walk from both Bondi Junction and the beach. Super convenient spot! There's a bus stop just a few minutes walk away. Rent: Rent is $450/week including bills. Preference given to those who are able to stay for the entire 9 weeks. 2 week bond required upfront to reserve the room. You can't beat the price and location! From here you can walk to 3 of the best beaches in the Eastern Suburbs. 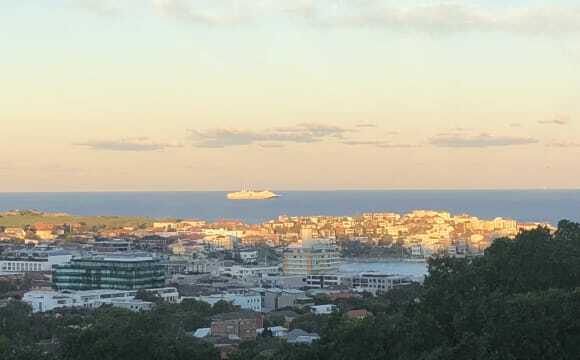 There's a bus stop across the road that will whip you up to Bondi Junction in a flash, or if you're not in a hurry, it's a lovely stroll up the hill through Waverley Park. It's also a short walk to the shops, cafes and restaurants of Bondi Road. We have a communal dining room and sunroom at the back of the house that overlooks the tranquil shared backyard. There are 3 shared bathrooms, 2 shared kitchens and a laundry. You will need to bring your own bar fridge and furniture. Lovely studio for rent, fully furnished. Will consider pets! Moore Street / Edward Street. Available April 27th, or sooner. Looking for a tenant min 2 months. Utilities are $15 pw. 3 awesome flatmates live in the adjoining house on property. 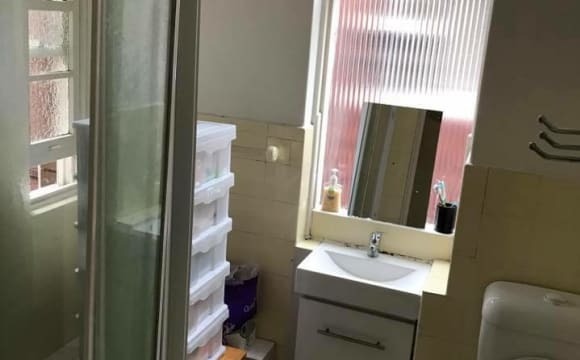 Studio comes with kitchen, stove, small refrigerator, toilet/shower. Location is great, mid point between junction and beach, walking distance to everything. Shared facilities include laundry, washer/dryer, storage space. Message me if you would like to come by and take a look! 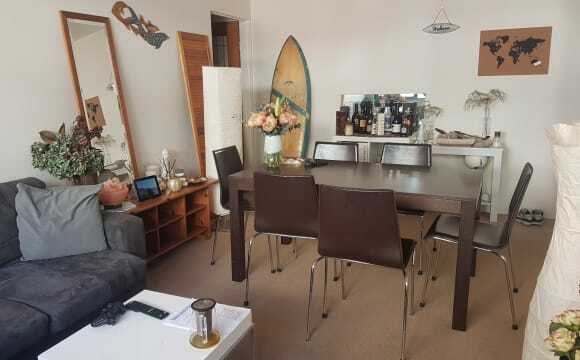 5 min from Bondi Beach and Tamarama, its the perfect location, Bottom floor with Garden and the best flatmate ever. 2 min from the bus stop with the 333 and 380 coming every 15 min into the city. The room can come furnished or not. 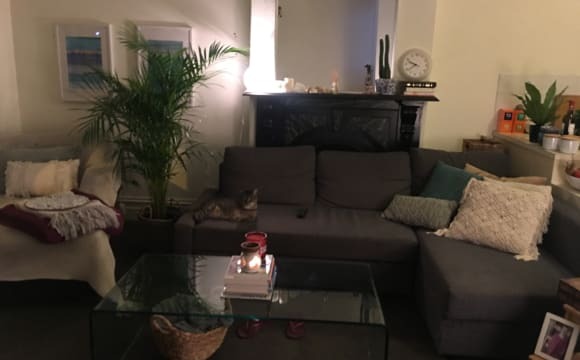 My Bondi flat is lovely, bright, clean, spacious and in prime location. Features a cosy living room, fully furnished with TV and Netflix. Kitchen and laundry have all amenities incl. fridge, dishwasher, microwave, washing machine, dryer, etc. Your private is unfurnished, it features a tall wardrobe, and it fits a double / queen bed and has 2 windows. The house stays super cool in the summer, no need for air con. We're a 10min walk to Bondi Beach or Bondi Junction. Very close to shops + public transport. We have a big shared backyard for dining al fresco / entertaining guests / sun baking. Great neighbours. Free on-street parking all day. Ground-floor apartment for easy access. 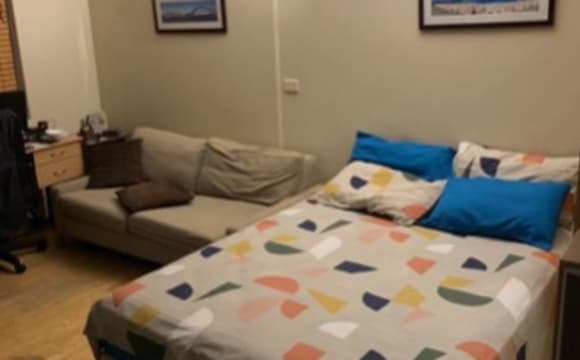 Bright and spacious double room is available in the heart of Bondi. The room is fully furnished with a built-in wardrobe. Perfect for singles, couples and friends (The price for two people is $380and $330for one) Equipped kitchen and north facing spacious living room. 15mins walk to the iconic Bondi Beach, 20mins walk to Bondi Junction. There are four buses on Bondi Rd taking you to Bondi Junction or the city and the bus stop only 3 or 4 mins away. All the shops and restaurants are in walking distance as well. My gorgeous flat in Bondi is available for two-three months (negotiable - shorter or slightly longer term is fine!). It’s a lovely, bright, and cosy place, in an amazing location. Features: - Furnished (basic but comfy) - One large bedroom - Large kitchen and living area - Ten minutes’ walk to Bondi Junction or Bondi Beach - Transport to city, parks, and cafes at the door * Please note it is a two bedroom property - I teach music from the other bedroom 1-2 hours per week and stay there occasionally, but you would otherwise have the whole place to yourself/ves.